For almost four decades, the Philippines has witnessed the migration of hundreds of thousands of women and men overseas Filipino workers (OFWs) to take up work in other countries and onboard international ocean-going vessels. While there are economic benefits from overseas employment, there are attendant social costs such as the abuse, maltreatment, and discrimination of Filipino migrant workers, seafarers and fishers, the psycho-social impacts of the prolonged separation of family members as well as the social costs on the community and society. Republic Act 10022, an act amending Republic Act 8042, affirms that: “…the State does not promote overseas employment as a means to sustain economic growth and achieve national development.” However, overseas employment continues, with more than a million workers deployed annually. We deplore the government’s reliance on overseas employment as an approach to economic development. In this regard, we therefore urge the government to commit itself to the policy and plan of action for national development and to integrate migration concerns in the new Medium-Term Philippine Development Plan (MTPDP), particularly pertaining to the generation of domestic employment, human resources development and a sustainable reintegration program for returning OFWs. If the government is indeed committed to veer away from overseas employment as a development strategy, we would like to see more concrete policies and steps toward more alternatives. Consistent with this principle, we urge the new government to revoke Administrative Order 247 issued on December 4, 2008 which ordered “the Philippine Overseas Employment Administration (POEA) to execute a paradigm shift by refocusing its functions from regulation to full-blast markets development efforts, the exploration of frontiers and fertile job markets” for OFWs. AO247, which was in response to the global economic crisis, mirrors the State's continued dependence on labor migration despite its dire consequences to the migrants as the world goes through a deep financial and economic crisis, where migrants become scapegoats of receiving countries for their economic problems. Moreover, the AO runs counter to RA 9422, an amendatory law of RA8042, enacted in 2007 for the purpose of repealing Sections 29 and 30 and strengthening the regulatory powers of POEA. Republic Act 8042 and its two amendatory laws RA 9422 (2007) and RA10022 (2010) are meant to “..institute the policies of overseas employment and establish a higher standard of protection and promotion of the welfare of migrant workers, their families and overseas Filipinos in distress and for other purposes.” We urge the government to implement policies that would indeed establish a higher standard of protection and promote the empowerment of migrants and their families. Government regulation of the migrant industry is critical to protect migrant workers from abuse and exploitation. There is also a need to review the continued deployment of workers to countries which are high- and medium-risk areas, as well the continued deployment of workers in high-risk occupations. Moreover, the government should muster the political will to implement existing laws that will better protect OFWs before they leave, on-site and upon return for those who are returning in the country and reintegrating into the Philippine society. Migrants’ remittances have saved our economy from further decline as our economy moved from one crisis to the next, and yet services and resources allotted for the migrant sector have not been very responsive to their needs. We therefore call on government to improve the delivery of programs and services and increase its budget and resource allocations for the migrant sector. The government should allocate resources for the protection and promotion of the rights and welfare of OFWs on top of the OWWA funds which should be retained for the exclusive benefits of migrant workers, the seafarers and their families. Among areas in need of improved services and resources are prompt and thorough investigation of abuses against migrants, and assistance for abused and/or detained migrants abroad and victims of illegal recruitment and trafficking. In particular we call on the OWWA to stick to the law for the collection of contributions, to be more judicious in its use of funds and to be committed to address the needs of the OFWs and their families through an improvement of its education and training programs, seafarers’ upgrading program, credit/loaning program, self insurance coverage program, which includes life insurance, burial benefit and disability and dismemberment benefits, and reintegration program. Periodic performance and financial audits should be conducted, and the results shared to the public, to ensure that government personnel overseas and in the home offices in the country are performing their duties as public servants. Republic Act 10022 Section 1h, recognizes “...non-governmental organizations, trade unions, workers associations, stakeholders and other similar entities duly recognized as legitimate partners of the State in the protection of Filipino migrant workers and in the promotion of their welfare... The State shall cooperate with them in a spirit of trust and mutual respect.” The implementation of this particular provision has been limited and selective. 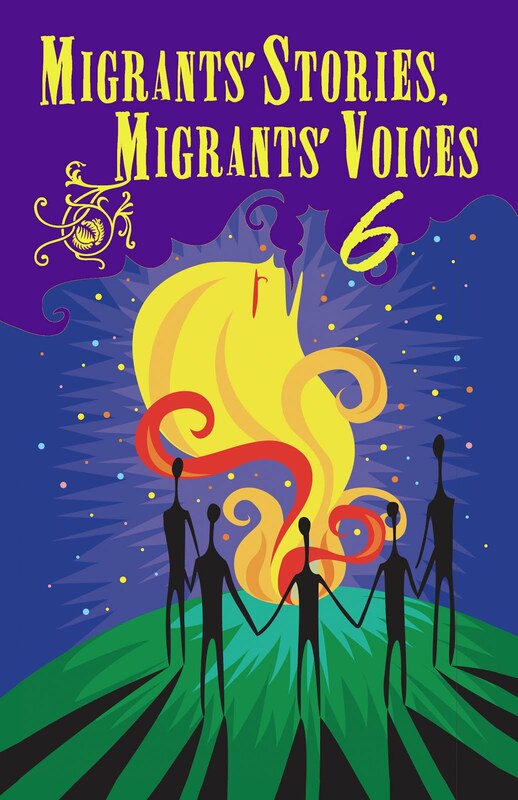 We urge the government to involve civil society and migrants themselves in developing, implementing and reviewing policies and programs related to the migrant sector. We encourage the government to be transparent and consult the stakeholders of any projects they have that will impact on the migrant workers, seafarers, fishers and their families. We urge this new government to institutionalise the Consultative Council on Overseas Filipino Workers (CCOFW) as the platform for dialogue and consultations between migrant rights groups and government. The new government should also ensure that migrants are duly represented in governance structures on labor migration such as the POEA Governing Board, OWWA Board of Directors, Philhealth Board and the like. Migrant representatives should be selected in a transparent and consultative manner. The law on Overseas Absentee Voting or Republic Act 9189 and its anticipated amendatory law under the 15th Congress should strengthen and improve the conditions for the political empowerment of Filipinos overseas and enable them to participate fully in the political and electoral exercises of the country. In recognition of the contribution of overseas migrant women workers and their particular vulnerabilities, Republic Act 8042, Section 2d states that: “the State shall apply gender-sensitive criteria in the formulation and implementation of policies and programs affecting migrant workers, and the composition of bodies tasked for the welfare of migrants.” Thus far, the operationalization of this provision has been very limited. Considering that (a) women migrants comprise at least 50% of the annual deployment, (b) they are concentrated in vulnerable occupations (domestic work and entertainment), and (c) they present greater vulnerability to being trafficked, we cannot over-emphasize the importance of gender sensitivity in policies and programs concerning migrant workers. There should also be more conscious efforts to assign gender-sensitive personnel in Philippine embassies and consulates. We welcome RA9710 or the Magna Carta of Women which provides for the deployment of a Gender Focal Point Officer (GFPO), within 3 years, to destinations where there is a huge concentration of Filipino women migrants. We also welcome the Philippine government’s ratification of ILO Convention 189 on Decent Work for Domestic Workers and the passage of RA10361 or the Kasambahay Act of 2013 and look forward to significant improvement in the situation of migrant domestic workers. We also look forward to the results of the impact assessment conducted by the Department of Labor and Employment (DOLE) on the Household Service Workers' Policy Reform Package. The Philippines is the world’s manning capital, being the source of 20 percent of the world’s seafarers. Recently, the country has been included in the “White List” of the International Maritime Organization. However, some policies and practices have eroded and threaten to erode the protection of Filipino seafarers. The government must address policy decisions and measures which work against the general interests of Filipino seafarers - e.g., the new standard employment contract, the application of local wages to Filipino seafarers working for international-bound Filipino flagships, registration of seafarers, blacklisting and watch listing, protection of seafarers in case of abandonment or bankruptcy of principals, among others. While we recognize the need for seafarers to be globally competitive hence the need to continuously upgrade their skills, we ask this government to review the various training requirements, as they cost so much to the seafarers and also take them away from their families even if they are on vacation. The review should include the accreditation system for training agencies and institutions. At the same time, we welcome the Philippine ratification of the International Maritime Convention and look forward to the enactment of a magna carta for seafarers as its accompanying local legislation as soon as possible. The Philippines has signed some 34 bilateral labor agreements and MOUs with 22 countries to date on employment, welfare and general labor cooperation; nevertheless, not all of them seem to pursue the interests of OFWs. The government should continue to pursue bilateral arrangements and MOUs with destination countries. Moreover, bilateral arrangements should also include the portability and enjoyment of social security benefits of migrant Filipinos. These diplomatic arrangements must ensure that Filipinos’ welfare and rights are protected and upheld. The government should continue its leadership role in the ASEAN in the crafting of an ASEAN legal instrument for the protection and promotion of the rights of migrants in ASEAN and ensuring its adoption as soon as possible. It should continue to explore, engage and forge regional cooperation to promote and protect the OFWs and their families and to observe caution in pursuing trade agreements and cooperation. Programs for OFWs should consider the needs and vulnerabilities of the families of migrant workers. Presently, policies and programs assume that migrants are the only ones who act in and are affected by overseas employment. As a State Party to the UN Convention on the Protection of the Rights of All Migrant Workers and Members of Their Families, there should be more conscious attempts on the part of government to provide assistance and to enable programs in support of the families left behind. Related to the issue of reintegration are social security programs for migrants. OFWs contribute significantly to our economy while they are abroad, but they can not avail of assistance and benefits upon their return. The government should explore social security schemes, provident funds and pension plans that take into account the special needs and conditions of OFWs and their families. c. We also urge the Philippine government to ratify ILO Convention 181 (C181 Private Employment Agencies Convention, 1997). Finally, at the executive level, it would be in order to instruct the DOLE to conduct a review and assessment of the measures acted upon by the previous government in relation to the global financial crisis: AO 247 (we recommend its revocation); AO248 which created the Overseas Filipino Expatriates Livelihood Support Fund and the TESDA distribution of millions-worth of P5000 training vouchers from 2008-2009; we recommend a thorough financial audit of the funds allocated for AO248 and the TESDA vouchers. Per reports, availment of both programs was very low. There were also reports that some TESDA directors converted the vouchers into rice, etc.